for only 6 Days. 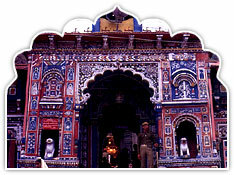 Visit Sri Kedarnathji, Sri Badrinathji and Auli with "PANCH PRAYAG- Rudraprayag, Vishnuprayag, Nandprayag, Karanprayag & Devprayag -the origin of GANGES". Day 1: Haridwar to Tilwada / Chandrapuri. Halt at GMVN Tourist Bungalow. Driving Time (App. ): 6-7 hrs. Day 2: Tilwada / Chandrapuri to Gaurikund. Driving Time (App. ): 7-8 hrs. 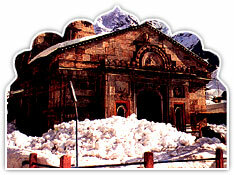 Day 3: Shri Kedarnath to Gaurikund. Drive to Ukhimath/Rudraprayag halt at hotel/GMVN Tourist Bungalow. Departure: 08:00 hrs. 13:00 hrs. Driving Time (App. ): 5-6 hrs. Halt at GMVN Tourist Bunglow / Hotel. Driving Time (App. ): 6-8 hrs. Day 6: Karanparyag to Haridwar via Laxman Jhula – Rishikesh. (i) Accommodation on twin sharing basis in 2/3 bedded deluxe hotels / GMVN Tourist Bungalows. (iv) Laundry, mineral water, drinks, ice-creams and expanses of personal nature not included.